If you're a tightwad like me, you'll probably agree when I say food delivery services are a bit of an indulgence. But when there's a promo going on, especially during a chilly time of the year, it becomes a lot easier to justify such an extravagance. 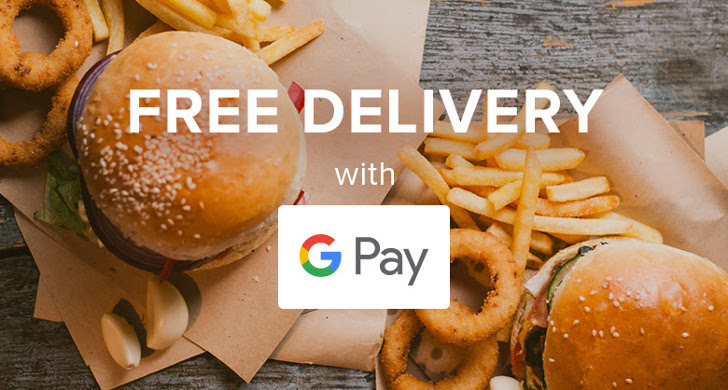 Enter DoorDash, which is offering free delivery for anyone who makes an order via its Android app and uses the "Pay with Google" payment option during the month of December. If you're a first-time user, make sure that you live in one of DoorDash's delivery zones. If you do, create an account using this link to get $7 in credits (courtesy of Artem), then download the DoorDash app. 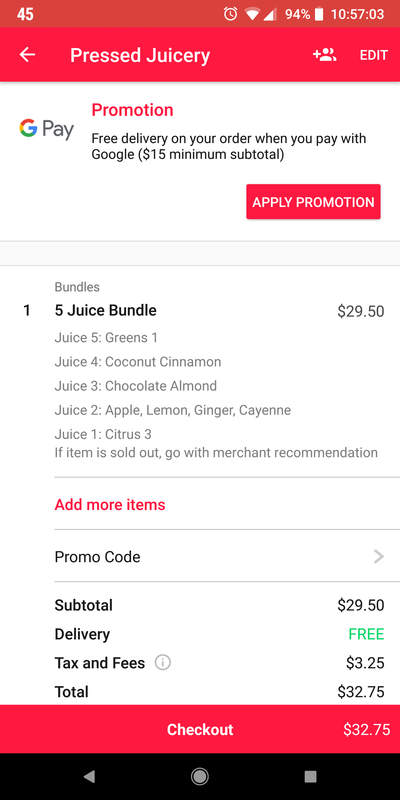 To take advantage of the free delivery offer from DoorDash, start an order ($15 minimum subtotal) in the app, go to the checkout page, and click the "Apply Promotion" button at the top. You can also enter the promo code "GOOGLEPAY" at checkout. The terms of the promotion note that this offer ends at 11:59 p.m. PT on December 31st, and that it's valid for one order per customer. Note that while this promo gives you free delivery, other fees, gratuity, and taxes still apply. If you live or work in a location that's cold during the month of December and would rather avoid stepping outside to grab some food, this could be a nice treat for yourself. It could also make a group order for you and your co-workers a bit easier on your wallets.